The Moselle region is one of Germany’s picturesque areas in the southwestern corner of this diverse country. 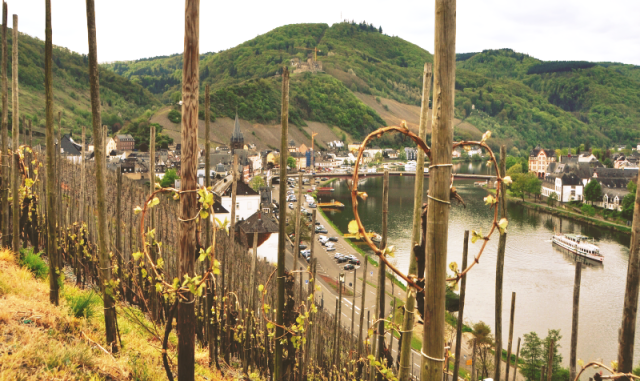 Named and defined by its life-giving river: The Moselle. From Koblenz to Trier the river twists and turns about 200 kilometres. Its hillsides are perfect for mountain biking with amazing views and healthy exercise. Strenuous climbs, steep descents, narrow paths and generous vistas. In the Moselle region, you have a network of trails with several thousand meters of altitude in a varied landscape that reward with fascinating panoramic views. Ideal for bikers who want a sporting holiday amongst vineyards and woods.